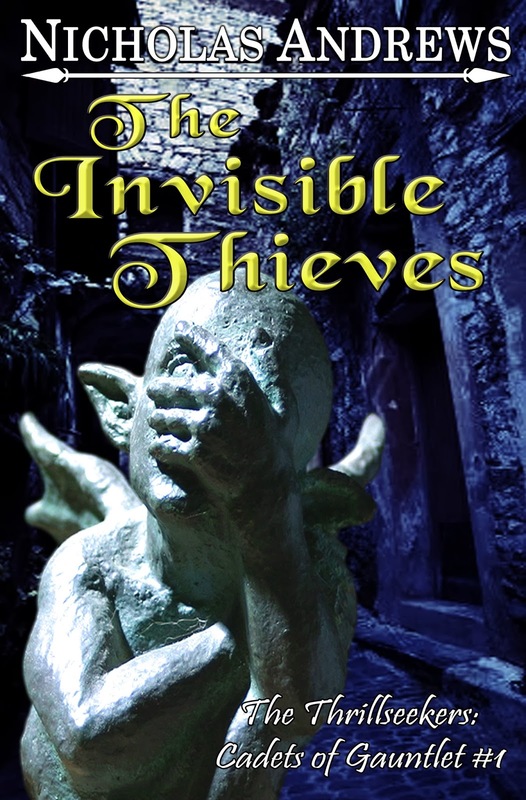 The Invisible Thieves now available for FREE! 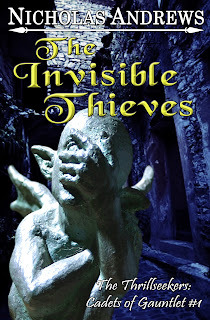 The Invisible Thieves, one of my novelettes and first episode in The Thrillseekers: Cadets of Gauntlet series, is now available for free at Amazon, Barnes & Noble and other major e-tailers. For those who have read Secrets of the Stonechaser, this is a prequel series detailing Nerris, Dist, and Jhareth's time at the fighting school Gauntlet during their teen years, and the adventures they encountered. This is a short story of approximately 11,600 words. Nerris, Dist and Jhareth are three boys from Oak Forest who want something better than their lives as common folk. They have come all the way to the city of Orrigo, the location of the famed fighting school Gauntlet. It is a place that has produced many of the best warriors in Tormalia, and they aim to be among them. It's nice to look up at the sky, but watch where you're stepping. 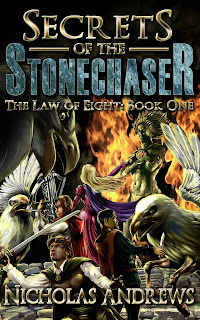 Secrets of the Stonechaser Now Available - Debut Week Special! Secrets of the Stonechaser, the first book in the Law of Eight series, is now available on Amazon! 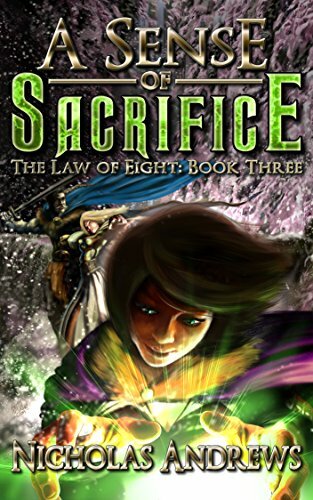 To celebrate its release, from now until 12:00 AM on December 13, grab it on Kindle for only 99 cents! At one time, Nerris Palada had been part of the Thrillseekers, adventurers legendary in the continent of Tormalia. After years spent winning the hearts of the people and being immortalized in song and story, they went their separate ways. Now a mercenary, Nerris has become involved in the civil war gripping the country of Yagolhan, and mired in a dark place within his soul. When evil forces emerge, Nerris is driven out of his army and left to fend for himself. 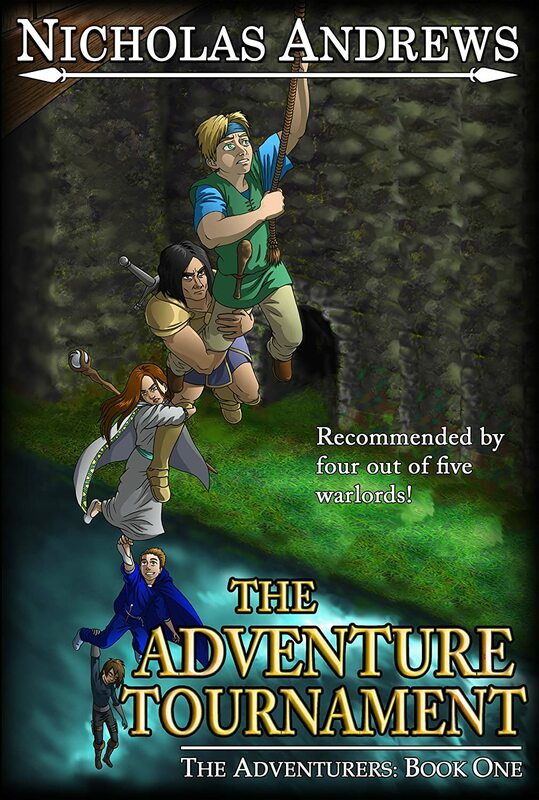 A chance encounter reunites Nerris with his friends in their home village, and the Thrillseekers embark on one last grand adventure. Joined by the mysterious, fledgling sorceress Len-Ahl, the fellowship soon finds itself on a mission much bigger than their own desires. What they seek could free the world from a dark threat that has gripped it since antiquity. When the dust has settled between gods and godlings, kings and commoners, and magic and mystery, Nerris may sink back into darkness or rekindle the joy, happiness and love of life he once knew.